I have early brakes (front and rear) from my car . There are front hubs , rotors and calipers. 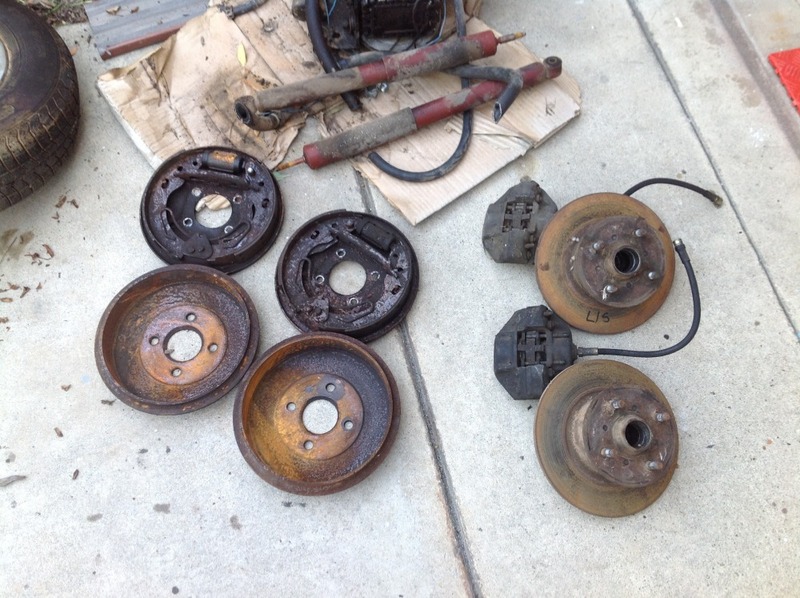 There are rear drums and complete backing plates. Used parts . Make a offer buyer pays shipping or can pick up locally.